Browse High-Quality Used Cars in Vineland, NJ! Whether you’re searching for a gas-sipping coupe for your Monroeville commute, or you need a second car for your new driver to get to work or school in Vineland, you’ll find it in the large inventory of Vineland used cars at Volkswagen of Salem County near Millville. We offer hard-working trucks and SUVs like the Tiguan to take you on your next adventure, efficient Volkswagen TDIs to make your fuel budget go further, and even reliable used cars under $10K, so you can update your Washington Township drive on your budget. 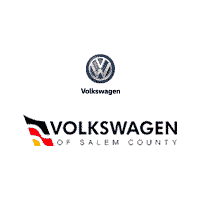 Why Buy a Used Car for Sale from Volkswagen of Salem County? Upgrade your drive for less with used cars from NJ’s trusted dealer, Volkswagen of Salem County. Contact us today to get started.